This year Operation Transformation is teaming up once again with the Irish Sports Council to organise a number of special nationwide sporting events – and once again Donegal is taking part. 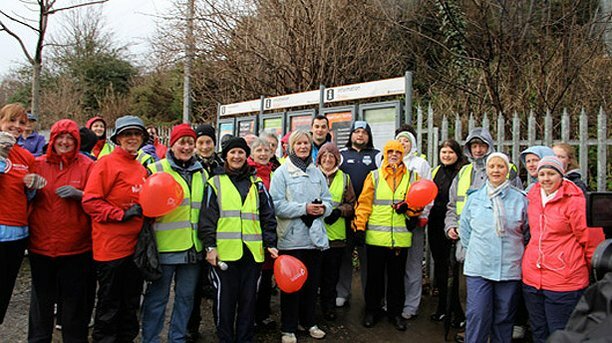 The Operation Transformation National Walk will take place on Saturday 14th January at Cloghan. The distance of the event and start time will be announced soon. There are 32 walks taking place with at least one in every county in the Republic so there’s no excuse for missing out. Start times range between 10.30 am and 2 pm. Every walk will see a leader who will set the pace and show you how to get the best value out of your walk. The Operation Transformation leaders and experts will be out in force to walk with you and encourage the whole country to take the first step towards a healthier life. Walking is one of the best exercises you can do. And it’s free! The walks are all Sli na Slainte routes which use signage at kilometre intervals on established walking routes to help walkers identify the distance covered. Slí na Sláinte is designed to encourage people to walk more frequently and to enjoy the benefits of a healthier lifestyle.